Source: Greenwich Graphic. January 13, 1900. Page 1. Agnes I. Smith died at the residence of writer Jan. 5th, aged 60 years. 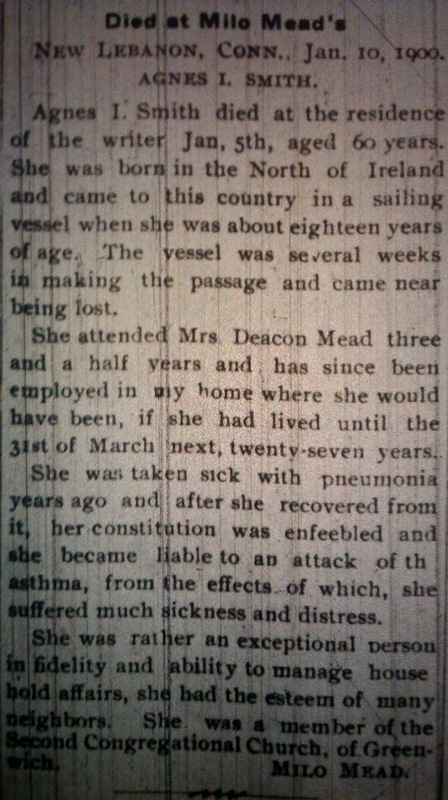 She was born in the North of Ireland and came to this country in a sailing vessel when she was about eighteen years of age. The vessel was several weeks in making the passage and came near being lost. 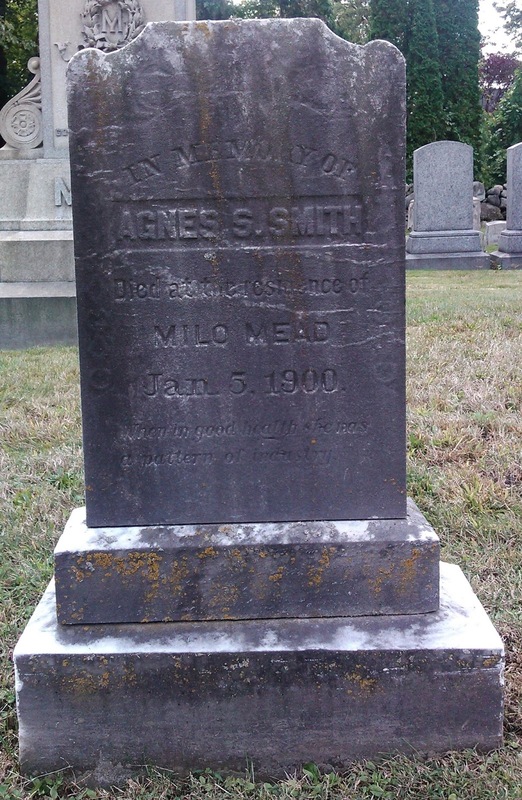 She attended Mrs. Deacon Mead three and a half years and has since been employed in my home where she would have been, if she had lived until the 31st of March next, twenty-seven years. 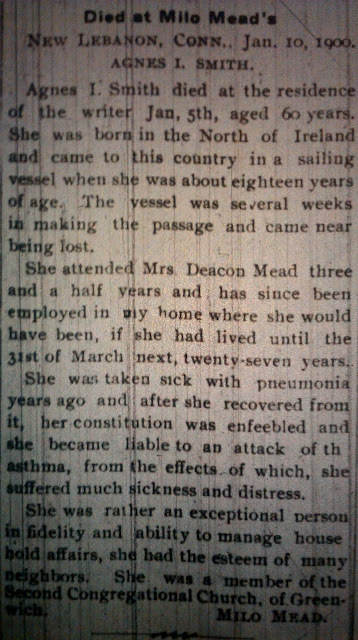 She was taken sick with pneumonia years ago and after she recovered from it, her constitution was enfeebled and she became liable to an attack of asthma, from the effects of which, she suffered much sickness and distress. She was rather an exceptional person in fidelity and ability to manage house hold affairs, she had the esteem of many neighbors. She was a member of the Second Congregational Church of Greenwich.